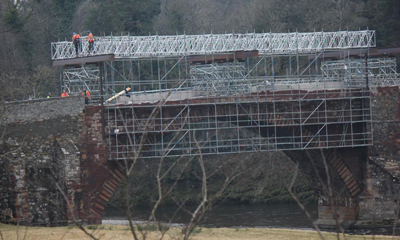 Lowood Bridge is now closed to all traffic and pedestrians to allow major works to be carried out and is not expected to open until the end of June. The 250-year-old grade B-listed bridge closed from Wednesday, January 31, for around 20 weeks for the £640,000 repair and strengthening works, enabling the 26-tonne weight limit currently in place to be lifted. Road diversions will be via the A6091, A7 through Galashiels and the B6374. Pedestrians will be able to cross the river at the Chain Bridge, between Melrose and Gattonside. Bus services will also be affected, with route and timetable changes. Further details can be found on the Scottish Borders Council website.